The names Bonnie and Clyde, when uttered together, instantly conjure images of twenty-something Depression Era outlaws who became notorious for their string of robberies and murders and, ultimately, their bullet-riddled demise. Parker and Barrow’s lives have been the inspiration for storytellers throughout the years, most notably for Arthur Penn’s film starring Warren Beatty and Faye Dunaway. Recently the duo’s tale was told in Frank Wildhorn’s musical Bonnie & Clyde on Broadway and just last year A&E delivered a two-night miniseries about the pair. On Friday, July 11th, TheatreWorks opened Adam Peck’s play Bonnie & Clyde. 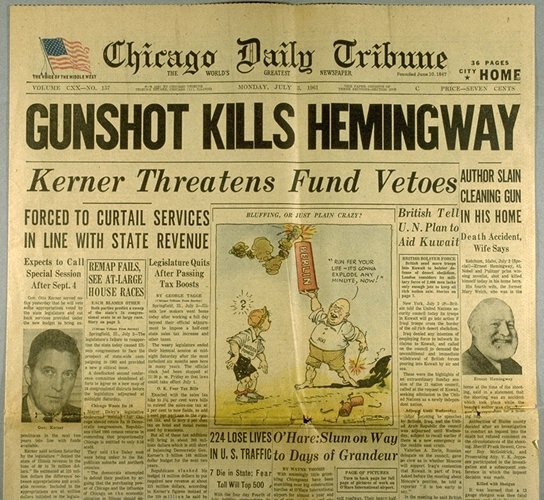 Under the detailed direction of Joe Russo, this two-person play strips away the infamy of the machine guns and fellow members of the Barrow Gang and leaves the audience with a glimpse into the quieter moments that led up to Bonnie and Clyde’s ambush in a Louisiana field under the fire of no less than 167 bullets. Utilizing a carefully thought out slide show which includes period headlines and press photos, Mr. Russo does an excellent job informing the audience of the time period in which they are about to spend the next hour and fifteen minutes. The visual presentation concludes with grim photos of the titular characters, replete with gunshot wounds to the brain, followed by the sepia tones fading away to reveal a multi-level set with newsprint decoupage, courtesy of Glenn Couture. It is 1934, the country is in the throes of the Great Depression, prohibition was nearing its end, dust storms ravaged the country and entertainment was found in dance marathons and sideshows. We are now in an out-of-the-way barn where Bonnie and Clyde are nursing their gunshot wounds, warming beans over fire in a can and discussing family, dreams, deeds and their eminent capture. Marilyn Hart delivers a consistent and complex Bonnie Parker. With great ease, she shifts from doe-eyed and innocent to gun wielding and combative. Generally speaking, there are many impressions of Parker. Some feel she was “along for the ride” while others believe her to have been a cold-hearted killer. Hart’s performance embodies these polarizing facets of Parker’s persona and, despite her character’s cold-blooded actions, makes you feel something for Bonnie. Not unlike the way you feel for a good friend who went home with the wrong guy after a too many drinks and a little flirting. New to the boards, Adam Stordy’s performance as Clyde is solid and unexpectedly good-natured. He gives Barrow an affable quality, not typical of a figure that is commonly thought of as a hardened and bitter criminal. There are gentle moments with Ms. Hart and monologues depicting Barrow’s final moments when Stordy makes you see the human side of a man that is generally dismissed as a monster. A play based on this couple’s final moments is an intriguing premise. An opportunity to be creative with Bonnie and Clyde’s intimate final moments, however, seems to be missed. Peck’s script often left me wanting something more. Rambling dialogue and factual snippets filled scenes that would have been more effective if there was more action and tension. Perhaps that was the intent of the playwright, to depict a world where “almost” and “what if” are the words that define every moment of every day. With this infamous duo, however, there was an expectation for something more compelling than the script delivered. 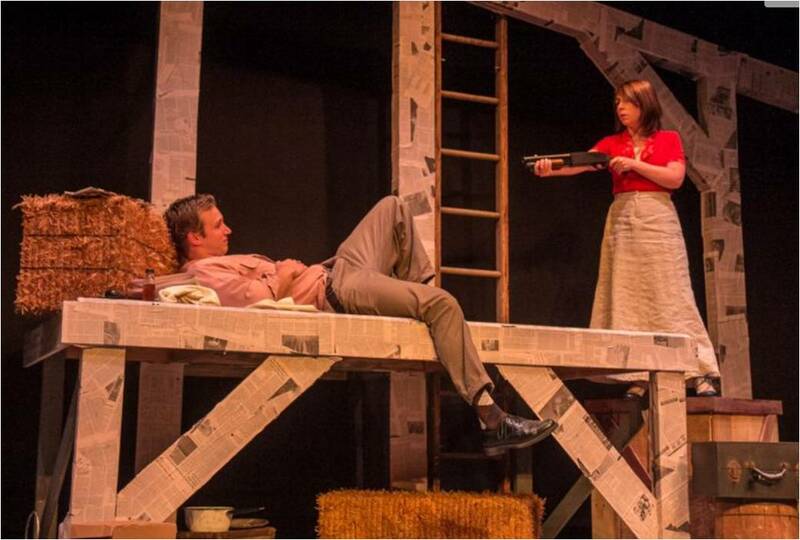 Despite a mediocre script, TheatreWorks’ Bonnie & Clyde delivers a captivating glimpse into a notorious couple’s final chapter. There is a simplicity that is offered with this depiction of Bonnie and Clyde that reaches beyond the headlines and gives us a view into their heads. With strong production value, meticulous direction and well-rounded performances, it is a view worth taking in. When I write anything, I generally spend a fair amount of time noodling it around in my head before I begin the actual craft of stringing words together. Sometimes the noodling takes only a couple of hours, sometimes it last weeks, months, even years. With the help of writing workshops and play writing groups, I’ve been able to spend a little time outside of my comfort zone and try a more extemporaneous writing style. For the most part, however, I need to think the piece through a bit. This particular blog post was conceived at the end of May, on opening night of Bloody Bloody Andrew Jackson, the musical I recently directed at The Ridgefield Theater Barn, and it required the entire run plus a few weeks of noodling to get to today. I will first begin with a little background about the show. It is an emo rock musical that is based on the life and presidency of Andrew Jackson, the seventh President of the United States. When I first saw the show at The Public Theater in New York I, like most, knew very little about Andrew Jackson, with the exception of the fact that he was on the twenty dollar bill and that he was largely responsible for what is commonly known as “The Trail of Tears.” The musical cleverly utilizes emo rock and youthful angst as a mechanism for conveying the growing pains our Nation and a renegade political leader were experiencing in the early 1800s. It’s snarky, it’s littered with foul language and the humor is offensive. So, naturally, I love it! Following our first performance, I overheard a friend expressing his opinions to another friend about his distaste for the piece and the casting choices that were made. Coming from someone who is usually very complimentary of the shows that I direct, it stung a bit. When nary a word was mentioned of the show on his Facebook the next day, something he commonly does when he likes a show, it felt like salt being rubbed in the wound. Within a day or two, I was able to shake it off. I get that this show isn’t for everyone. My poor husband, who was also in the show, had to listen to me dissect and rationalize every comment and reaction. Over and over. Every time we had the conversation, it would end with some variation of “You either love it or you hate it.” And some people did love it. In fact, our worst audience reaction was followed the next day by our best, a performance where some people gave us a standing ovation and others gushed about how hard they laughed. Honestly, I’ve never been at the helm of a more polarizing show and, wow, what an experience that was. I also realized that this is the first show that I have directed in a long time that didn’t have a string of awards, solid buzz or a fairly universal acceptance as “good theater.” While it extended its run at The Public, the Broadway transfer of the show only ran for 94 performances. Regardless, I was thrilled that the theater chose me to direct the production. I think it its a safe assumption to say that I am a director that is expected to choose productions that are risky, challenging, dark and different. I think it is also safe to say, at the risk of injury whilst patting myself on the back, that I do a good job when I tackle those projects. Some audience members who shared their opinion directly with me said that, while it wasn’t their cup of tea they felt that the direction, the performances, the band and the overall production were solid. So, why does the criticism of this show hit harder than past less-than-effusive reviews? I think some of it stems from my own need for validation. “Do you like me? Do you really like me?” Every artist who puts their work out there yearns to be praised, to strike a chord somewhere and with someone. If they say they don’t, they are lying. I am constantly saying that we as a community need to explore new territory and take risks on original pieces by new writers. I took that risk and I was invested in it, so why is it that there exists this strange void? 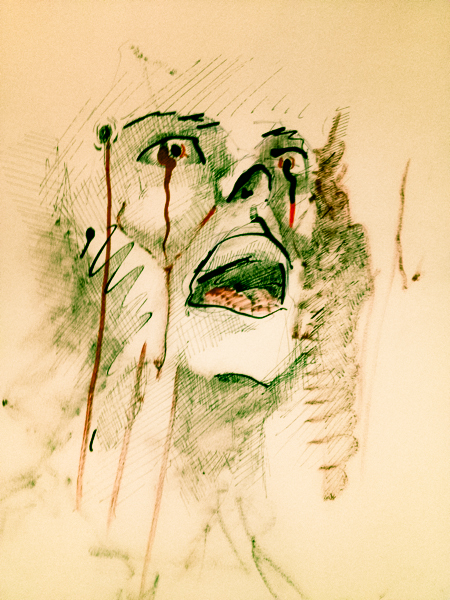 Why is it that my art has transformed into, if you pardon the metaphor, pain? I think, then, of the trailblazers. Stephen Sondheim opened a musical about a vengeful blood-thirsty barber and it grew to become one of the most revered pieces of musical theater of our time. There are always haters. You have to risk being hated in order to find the one or two who love it. Sometimes we succeed. Sometimes we don’t. I have been told that one shouldn’t respond to critics. That we should believe in what we do, despite what they say. I am still perfecting that skill, always working at it. Do what you love, right? Well, I loved working on this project and the response to it, despite my pondering, has not deterred me in the least. If I feel hurt, angered or confused by the feedback from the audience or if a patron felt appalled or elated by the production, at least collectively we felt something every time the actors, musicians and audience came together to experience the show. And that, really, is what good art does. Good art makes you feel something. And feel something we did. When dealing with mental illness in this modern age of instant gratification, we struggle with the notion that there is no magic pill, no simple fix. In Brian Yorkey and Tom Kitt’s Next To Normal, which opened on July 4th at The Brookfield Theatre for the Arts, the Goodman family navigates the rocky terrain of bipolar disorder and grief in what most would consider an unlikely topic for a musical. The central character of the show, Diana Goodman (Juliette Garrison Koch), has long been suffering from bipolar manic-depressive episodes and swings between “manic, magic days” and “dark, depressing nights,” sometimes carrying her family with her, sometimes knocking them down in the process. Diana’s husband, Dan (Chuck Stango) and their two kids, Natalie (Sydney Coelho) and Gabe (Luke Garrison), struggle to keep in step with Diana as they seek comfort from Diana’s doctors (Keith Guinta) or Natalie’s sweet, stoner boyfriend Henry (Matt Madden). 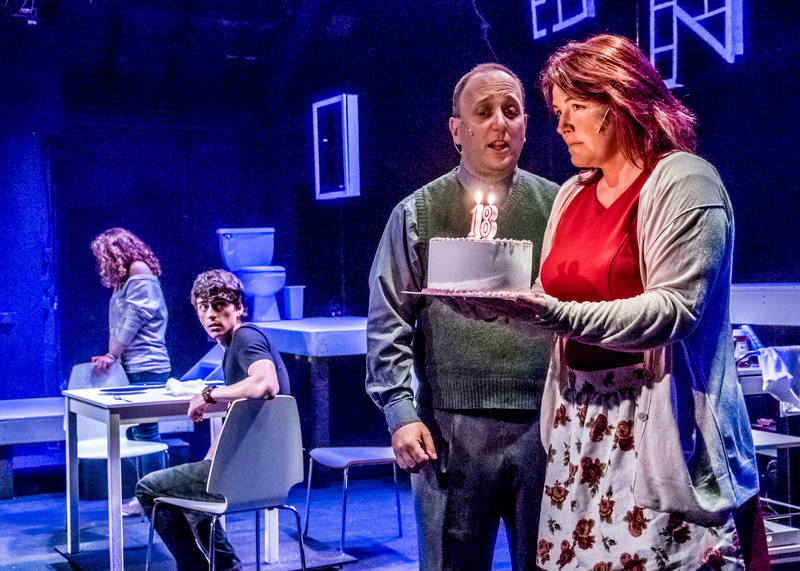 The winner of the 2010 Pulitzer Prize for Drama, Next To Normal is under the deft direction of Michael Burnett, who has proven time and again that challenging his performers and his audience with difficult subject matter yields powerful results. The expository first act moves swiftly and sets you up perfectly for a gut-wrenching second act. As Diana, Juliette Garrison Koch takes on a physically, vocally and emotionally demanding role with great aplomb. Easing between the quiet, tender moments to the wild, frenzied ones, the audience genuinely feels the torture of Diana having to choose between a drug-induced catatonia and a medication-free instability. Ms. Koch owns the stage during some of the bigger, belted numbers but the moments when the grief gently bubbles to the surface are her most memorable. During her anguish-filled rendition of “How Could I Ever Forget?” she grabs onto your heart and grips it relentlessly until the final curtain. Sydney Coelho’s portrayal of Diana’s troubled teenage daughter Natalie is at once explosive and poignant. Her powerful vocals shine in the character’s signature song “Superboy and the Invisible Girl” while the gentler moments when she acknowledges her fear of becoming like her mother are heartbreaking and unforgettable. Luke Garrison, as Gabe, drifts in and out of the shadows with confidence, inserting himself into the action with a menacing rock-star quality as he constantly tugs at the very fiber holding the family together. Garrison’s strong voice and youthful presence during his solo “I’m Alive” perfectly exemplify this charismatic character. Chuck Stango brings great heart to the role of Dan, Diana’s faithful and determined husband, desperate to fix what is broken. Newcomer Keith Guinta delivers a crisp take on Drs. Fine & Madden, with effortlessly clear vocals. Matt Madden is charming as the patient and quirky Henry. Music director Nsangi Kariamu expertly leads a five piece orchestra and vocal director Diane Lapine guided the cast through Kitt’s complex score. Kariamu is able to musically direct the cast through the production from a location upstage, a position that can be challenging for both performers and orchestra alike. The orchestra is buoyant, finding moments where the musical shifts evoke more emotional response than some of the spoken scenes, a sign of a well-crafted score meeting flawless execution. Laura Baxter’s set design, with its similar-yet-assymetrical “N” shaped windows and floating white platforms against a black void, perfectly represents the imbalance of the Goodman household. Justin Morgan’s lighting design lends to the rock concert feel of Diana’s internal monologue and gradually and subtly becomes devoid of color as her mind is emptied of troubling memories. Wendy Yung’s sound design was a little uneven at the beginning of the show, making it difficult to hear certain lyrics, but seemed to resolve itself throughout the course of the evening. From the manic reds to the post-ECT greys and blues, Meg Jones’ costume design is well thought out and aptly reflects Diana’s mental state throughout the show. In a time when commodity and jukebox musicals pervade the landscape of the modern musical, it is important that original pieces that break the mold are given life in an accessible and affordable setting. Next To Normal is a significant musical for our generation and it is beautifully and lovingly staged at The Brookfield Theatre for the Arts. Next To Normal runs at The Brookfield Theatre for the Arts, 184 Whisconier Road, Brookfield. Friday, July 4-Saturday, July 26, 8 p.m. $20-$15. 203-775-0023, tbta@brookfieldtheatre.org. I don’t really have a fear of spiders. Not to say that I have a desire to cuddle up next to them and read them bedtime stories but they don’t make me scream like a girl. In my household, I am usually the one that ends up killing the eight-legged intruder and flushing him down the toilet. Several years back, my sister was in a near fatal car accident. After having too much to drink and an argument with her boyfriend, she plowed her Chevy GEO into a parked Volvo while traveling at 70mph. 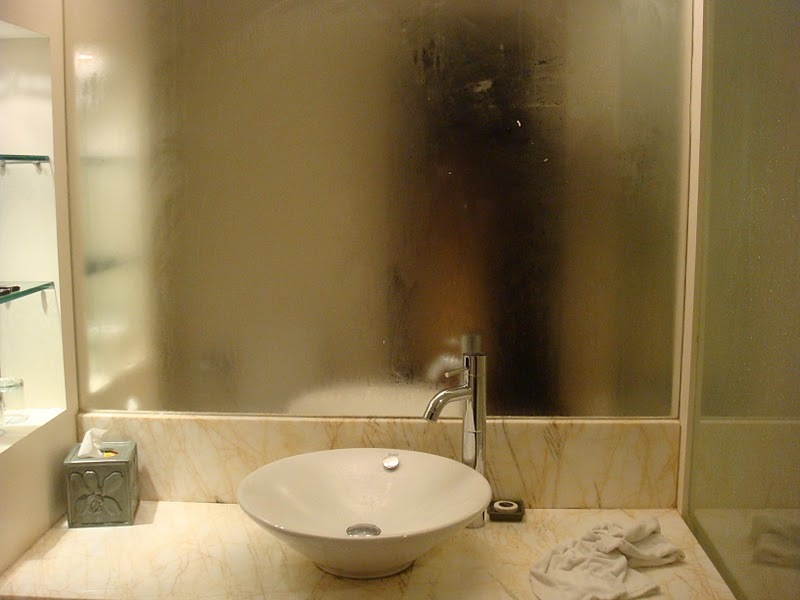 I was a college senior at a small university in Ohio and spent any break from my studies making the trip back to Connecticut to see my sister, whose rehab was spent residing in the same room as the famed Central Park Jogger. I had just finished directing the first and only mainstage production in the history of the university, Pippin, and brought the video for her to watch. She watched the video, through vacant eyes and with minimal reaction. Afterward, we got her back into bed and my father, still a smoker, went out for a nicotine fix while I attempted to make conversation with my sister. Since she had a tracheotomy, she was unable to speak. She was, however, able to write and made jokes about hawking loogies through her tracheotomy tube at people that pissed her off. We laughed. 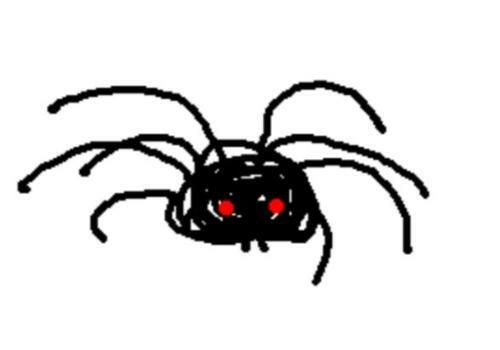 Then she drew a picture of a spider. She asked where our father was. Another picture of a spider. I asked her why she was drawing pictures of spiders. And she told me she was drawing them so that I would go away. She kept writing that word until there was no more room on the paper, onto the walnut veneer of the hospital tray table. I will never think of spiders in the same way. I was recently asked to join the OnStage Critics Circle as a contributing columnist. The invitation really couldn’t have come at a better time. I was about to wrap up directing Bloody Bloody Andrew Jackson and I had made a solemn vow to myself that when that show was done and dusted I would devote time every day to writing or, at the very least, do something that would further the development of one of my writing projects. Since we struck the show on Sunday, I have definitely lived up to the promise in some way or another. It is an interesting segue, to say the least. I have directed at or been involved with all of the Connecticut theaters within a 20 mile radius of my home and, in some instances, beyond that radius. Through my active involvement in our theater community, I have have developed a fairly broad familiarity of the theaters, the people who run them and the artisans that bring their seasons to life. As such, I was a little hesitant to step out of the director’s chair and pick up the pen of the critic. I have put some thought into the last 20 years in our community and how the presence of the theater critic has faded. When I first started working in the area, there were a lot of journalists, then of the ink and newsprint ilk, who attended our productions. We would wait with bated breath for their words of praise or damnation and it was, despite our contribution, a part of the process of bringing our art to life. As a result of the digital age, the circulation of printed news is dwindling and so are budgets. Not surprisingly, the arts are the first to go and in this case, published theater reviews in our neck of the woods have become few and far between. I hesitated to take on the role of critic because of the personal relationships that I have with the theaters and the people that run them. Chances are that every show I will see will feature an actor or two I’ve worked with in the past, a director with whom I am familiar and will be at a theater that is known to me. I have concerns about where to draw that “conflict of interest” line. After much thought, though, I have come to this conclusion: theatrical criticism is a dying art. Even the likes of Ben Brantley and Michael Riedel are losing their previous luster and sought after praise, so I truly feel there is a need in our community for opinion. While I am certainly nowhere near as accomplished the critics associated with New York theater, I am certainly a person who has both opinions and a pretty comprehensive understanding of the art. And I’m not a bad writer either. Bottom line, I feel I am qualified. As for the personal relationships, I have seen local critics share their thoughts while they remain involved in the theater as actors or directors. So, as far as reviews that I will contribute to OnStage Critics Circle, I will follow these guidelines: (1) I will not review a show at a theater during a season in which I am slated to direct, (2) I will not review a show at a theater where I am serving as a member of the Board or on a Committee and (3) I will not review a show featuring my husband or another family member in the cast. I also promise to be as honest and fair in my reviews as possible, I will not review a show that I haven’t seen from beginning to end and I will accept invitations to review any show, regardless of my personal theatrical preferences. I believe those guidelines will serve to be a fair and reasonable foundation upon which I will place this next building block in my theatrical career. So, with that, I will fold up my director’s chair and take a seat in the house, eager to see what the days ahead will bring. Break a leg, my friends, and I’ll see you at the show!